Social features of *LexNet. How to use our Network. *LexNet allows you to communicate with each other via the "Network” pages. This service helps users to find professional contacts which might be useful for your career. It is also useful to find other associates, like you, who have some form of interest in law, legal procedure, courts etc, It also allows individuals that are looking for professional advice and therefore allows you to interact with potential clients directly. How to use the "Network”. 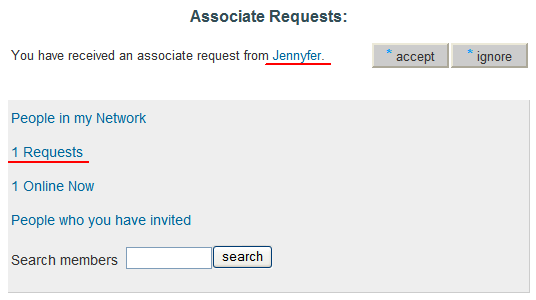 To see personal details about online users click the name of user who you are interested in. Names of users invited by you are displayed in column "A". 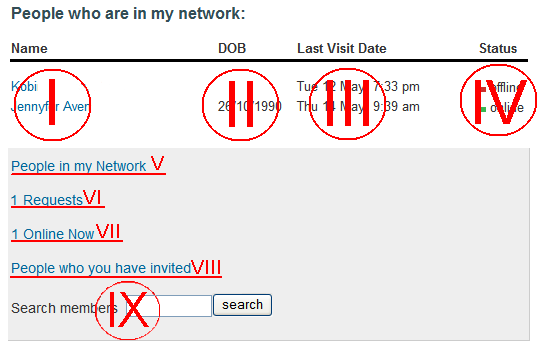 The dates of the last login of each user are displayed in column "B". Column "C" displays the status of your request. There is the search line (marked with IX in 5 above) at the bottom of the page. Enter the name of the person which you are looking for and click . The website will give you a list of names matched with the entered values. 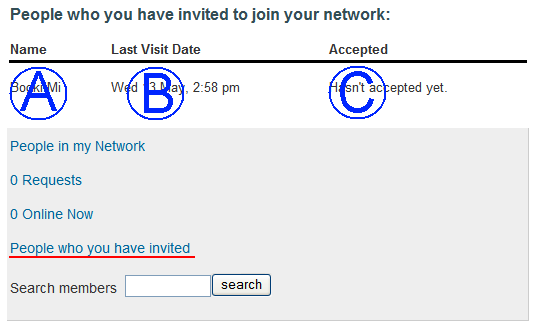 Click to invite user to your Network. 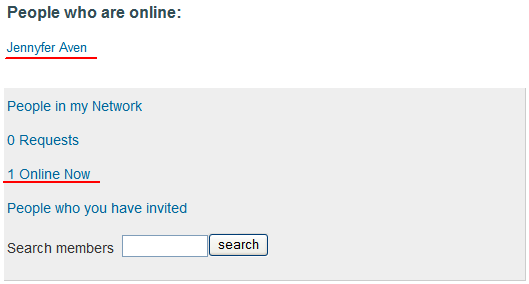 See the result of your invitation on the "People you have invited” page.